Before we dig in, this is coming from an unverified source, so you may want to take this with several very large grains of moose dip. Very large. That said, the news comes courtesy of Splash Report who got the plot details on Silver and Black from some shady character who is staying hidden in the shadow's for the time being. Here's how said source is describing the plot outline for the movie. "Here are some details about the story: Seven years after Mendel Stromm (a.k.a. Robot Master) and his two henchmen (The Scorpion and The Tarantula) killed her father, Silver Sable is hired by the government to find Felicia Hardy. The Black Cat, a master hacker and thief, has apparently stolen valuable secret information. She's hiding in the lawless and dangerous triple frontier area between Paraguay, Argentina and Brazil. Once there, Sable ask her old contact Dmitri Smerdyakov (a.k.a. The Chameleon) to locate her. But it seems, the government are not the only ones looking for the Black Cat. It seems Felicia had made a deal Stromm to save her father from a Russian prison and she's been genetically enhanced. Now, the mad scientist wants his prized experiment back because his financier (cough Norman Osborn cough) wants a return on his investment." 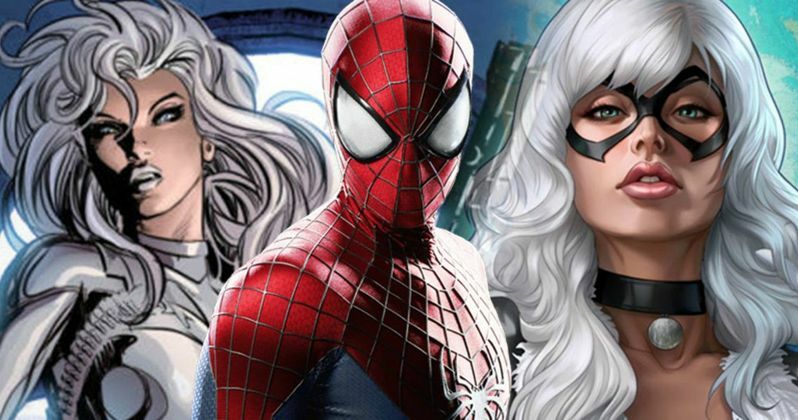 Outside of the possibility of Sliver and Black being loaded down with other Spidey characters, these plot details make it sound like this will be an action-packed, espionage movie. It also seems as though Silver Sable will be taking the lead, with Black Cat being a very strong supporting character who joins up with her. But again, don't take this as gospel until we hear more from Sony about the movie in the coming months. Gina Prince-Bythewood's Silver and Black movie has yet to cast any of the lead roles, but the most recent draft of the script was penned by Chris Yost (Thor: Ragnarok). If Venom is any indication, which nabbed Tom Hardy in the lead role, Sony is going to go for A-list talent with these Spider-Man spin-off movies that won't be connected to the MCU. If they can pull it off, this could be a great way to introduce a bunch of characters who may not otherwise get much if any screen time. If they drop the ball, they are going to make a lot of Marvel fans very unhappy.